Sulbana and ALPMA go their common ways | Sulbana AG – Käserei-, Hygiene- und Verpackungstechnik. ALPMA announces the acquisition of a majority stake in the Mozzarella and Semi-Hard-cheese equipment producer SULBANA. The transaction will happen in January 2019 and is subject to regulatory approval. With this merger, the ALPMA-group will further extend its leading position as an equipment producer for the cheese industry. In the market-segment of Pasta-Filata-cheeses as well as typical Semi-Hard- cheeses both companies will combine their experience of many decades and offer the broadest and most technologically advanced product range within the industry under the brand name ALPMA-SULBANA. On the basis of a successful development of both companies during recent years, this merger offers the opportunity to support dairies all over the world in a large variety of cheeses. The focus will be the entire supply chain, from technological consulting, designing and building equipment all the way to service and automated data management. 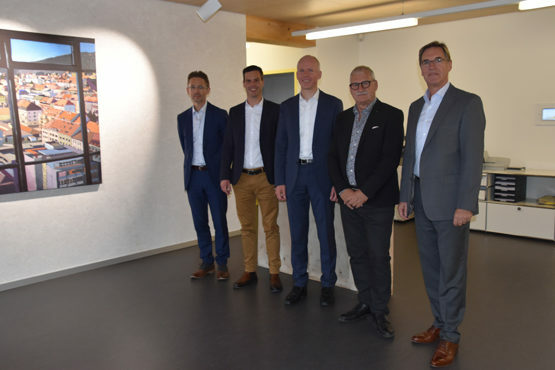 Thorsten Kehl, CEO SULBANA-group: „The opportunity to lead SULBANA into an even more successful future and support our customers as part of the ALPMA-organization presents a sustainable path for further development“. About the company: ALPMA is the globally leading equipment company for the processing of milk and whey, cheese production as well as cutting and packaging technology. As a specialist for Mozzarella and Pasta Filata-type cheeses on the one hand and Semi-Hard-cheeses on the other hand, SULBANA is a perfect fit for the ALPMA group. Combined, the full-range-supplier will employ a staff of more than 850 employees at its sites in Germany, France, Switzerland, Finland, Italy and in addition offer a global Sales and Service network.